GREAT LOCATION LARGE FAMILY HOME WITH A FULL FINISHED WALK OUT BASEMENT !! THIS 5 BEDROOM 3 BATH HOME OFFERING OVER 36000 SQ FT HAS SO MUCH TO OFFER FOR YOUR FAMILY ! MAIN LEVEL MASTER SUITE WITH JETTED TUB, WALK IN SHOWER, DBL VANITY, SPLIT BEDROOM PLAN, CATHEDRAL CEILING IN THE MAIN LEVEL LIVING ROOM. BEAUTIFUL KITCHEN WITH A LOT OF CABINETS AND GRANITE COUNTERS, CENTER ISLAND, BUILT IN DESK, STAINLESS APPLIANCES. BREAKFAST TABLE AREA, FRENCH DOORS LEADING TO THE LARGE DECK. THE LOWER LEVEL OFFERS 2 BEDROOMS, 1 BATH, THE 2ND LAUNDRY AREA, A STORM SHELTER ROOM, A FAMILY RECREATION ROOM. LARGE CHAIN LINK FENCED YARD, REAR CARPORT WITH SHED ATTACHED. THIS HOME OFFERS 3600+ SQ FT OF LIVING SPACE. YOU WILL LOVE THE PRIVACY OFFERED WITH THE REAR YARD. IT BACKS TO WOODS AND HAS A LOT OF WILDLIFE. BRICK & VINYL EXTERIOR, NEWER ROOF & HVAC SYSTEM. 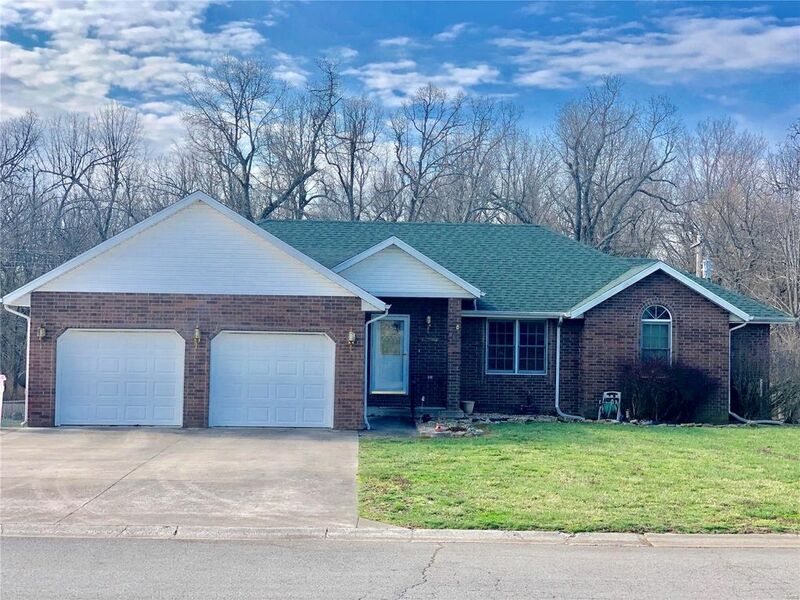 EASY ACCESS TO I-44 DON'T MISS OUT ON THIS GREAT HOME!